Bureaucrats are unanimous in their conclusion about five years of this govt: Modi is following Indira Gandhi’s model of committed bureaucracy. It takes a Narendra Modi to break the rusty steel frame of India — the bureaucracy. Nine professionals got lateral entry into the government as joint secretaries last Friday. Advocates of administrative reforms are all praises for it. Some could argue why the appointments couldn’t wait until the next government takes over. One thought the BJP-led dispensation was super confident of Modi’s return. Technicalities apart, none, except the bureaucrats, could have a reason to grumble about. There could be many arguments about supersession in the Army and, in the latest instance, the Navy, and about the government’s reservations against the Supreme Court collegium system, as well as the steamrolling of controversial appointments at crucial positions. But any attempt to end the red tape in the government through lateral entry of professionals is bound to be welcomed by people. Only that there are many sceptics even among pro-reform sections about the real objective of this move. Is it to bring merit and professionalism in the government? Or is it to make the system more pliant and subservient to the ruling party? A majority in the government think it’s the latter. The irony is the same sections were happy when Modi had brought P.K. Mishra as his additional principal secretary to drive bureaucratic reforms right from the prime minister’s office (PMO) five years ago. He introduced a 360-degree appraisal system right from the empanelment of bureaucrats as joint secretaries to their further promotions. Earlier, it was based on annual confidential reports (ACRs). The new system considered the ACRs, but what really mattered was the feedback from an officer’s peers, juniors and seniors as well as intelligence inputs. Committees of serving and retired bureaucrats took this feedback. Serving bureaucrats say this was the beginning of the setting of rot into the system, with the so-called feedback often based on what the BJP and the Rashtriya Swayamsevak Sangh thought about an officer and how pliant and subservient to the political boss he or she was perceived to be. There was no transparency in this 360-degree system, which became a means to cast aside those in the steel frame who refused to bend. Many of those who got through this system only to resist the political masters later were sent back to their home cadres overnight. No questions asked; no explanations given. “When you see home secretary L.C. Goyal and foreign secretary Sujatha Singh being humiliated and removed in the middle of their two-year secure tenure, the message goes down to a district collector,” a bureaucrat friend explained to me some time back. They were not so bitter about the NDA government earlier. Gadkari was one of the few ministers who could have his way. Others caved in to keep their jobs. Most of his ministerial colleagues often didn’t know about the cabinet agenda from their ministries until the day of the cabinet meeting. The PMO didn’t allow even Union home minister and former BJP president Rajnath Singh to have a PS of his choice (Alok Singh, an IPS officer of Uttar Pradesh cadre). Bureaucrats loved it. Prime Minister Modi gave them more reasons to feel smug. He started holding meetings with secretaries (leaving the ministers out) and said he would stand by them. He held meetings with joint secretaries and directors. 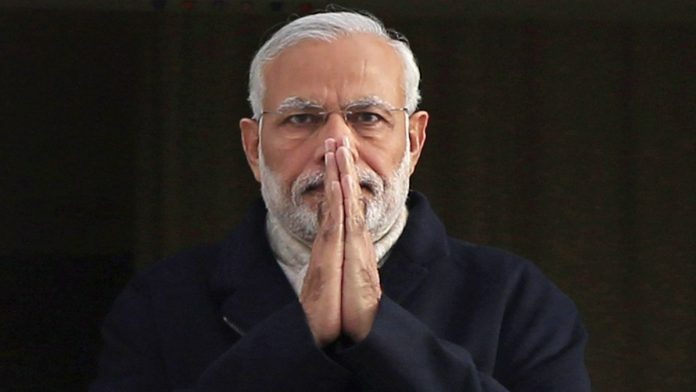 Senior bureaucrats could send direct messages to Prime Minister Modi. The bureaucrats were euphoric, especially after the long period of policy paralysis during the UPA II regime. It took them two-and-a-half to three years to realise that they were being led up the garden path. The meetings with PM Modi became few and far between. The secretaries of the ministries started feeling slighted by frequent calls from joint secretaries and even directors in the PMO who wanted regular updates about the functioning of the ministry. They themselves became rubber stamps for the PMO to use them whenever the need arose. From their exalted positions in offices, these bureaucrats cringed to see themselves getting used to make headlines for the government. The secretaries were sent to their first place of posting to see what had changed in all those years and what needed to be done. They did it enthusiastically, only for their reports to gather dust. Director-level officers were sent to backward districts to collect details about the implementation of the Centre’s ambitious schemes. They came back to file comprehensive reports, which met the same fate as the reports by their seniors. Amid this disillusionment came the alarming scenes of then CBI director Alok Verma getting unceremoniously sacked, ED officers being haunted, and the rise and fall of senior officers depending on their idea of transparency and integrity in this government. Talk to bureaucrats today. They are unanimous in their conclusion about five years of this government: That Modi is following late Indira Gandhi’s model of committed bureaucracy. And they blame it on the majority that the BJP got in the Lok Sabha in 2014. Believe it or not, when India is praying for a stable government post-elections, our bureaucrats have reasons to wish otherwise. No doubt, committed bureaucracy is anathema to our system of democracy. However a political leader should have the freedom to choose his team which he thinks can successfully implement his programmes. If nothing worthwhile has happened during Modi’s tenure, it is not because of committed bureaucracy, but because Modi had nothing worthwhile to implement. If he is re-elected, things won’t be different though he may surround himself with bureaucrats fiercely loyal to him. Mr Singh, India wants a government that governs and one-man event management company. It suits the darbaris and a certain kind of “public intellectual” to pitch for a government of particular kind. Stability in the guise of ‘my way or the highway’ kind of government. Indian deserves better, Sir. THE PRINT should not publish this kind of misleading articles, even if it’s from one of it’s senior members. This journalist is trying to suggest that Narendra Modi is only as bad as Indira Gandhi was. Never, never in this country human beings were killed for an animal, as under Narendra Modi’s rule, with not even a whimper of disapproval from him, forget about taking action against the culprits. Never were young girls disrobed and violated as often as under Narendra Modi’s rule, without even a whimper of disapproval from him, forget about taking any action against the culprits. I cannot find expression for it in English, in Hindi one would say: “aatma kaamp jaati hai sunke”. Not Narendra Modi’s. A truly brave leader would have ROARED WITH ANGER at such incidents, the culprits would have been given life imprisonment until death, one or two of them would have been chemically castrated, and “potential” culprits would have got a LOUD message. How can anyone with even an iota of humanity in him compare Narendra Modi with anyone? Doing the right things and doing them right is the old belief. I guess that the supreme leader neither seems do the right things nor the right way. Good for the country, the babus are finally seeing the reality behind the propaganda.